While these giant birds are called Greenwing Macaws (Ara chloroptera), their name is often misleading because they are in fact a striking blend of red with green and blue stripes on their wings. The facial patch is traversed with red feathers which looks like Indian war paint. 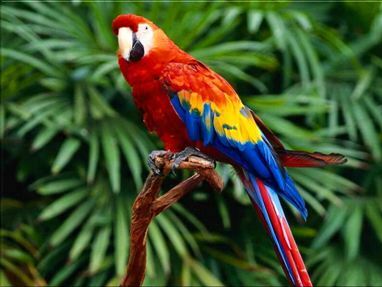 Greenwing macaws are sometimes confused with Scarlet Macaws, which have a yellow stripe on their wings (Greenwings do not) and are far different in both demeanor and coloring. The Greenwing is almost as large as the Hyacinth macaw with a wingspan approaching 49 inches, a total length reaching 36 inches and weights ranging from 1100 to 1700 grams. 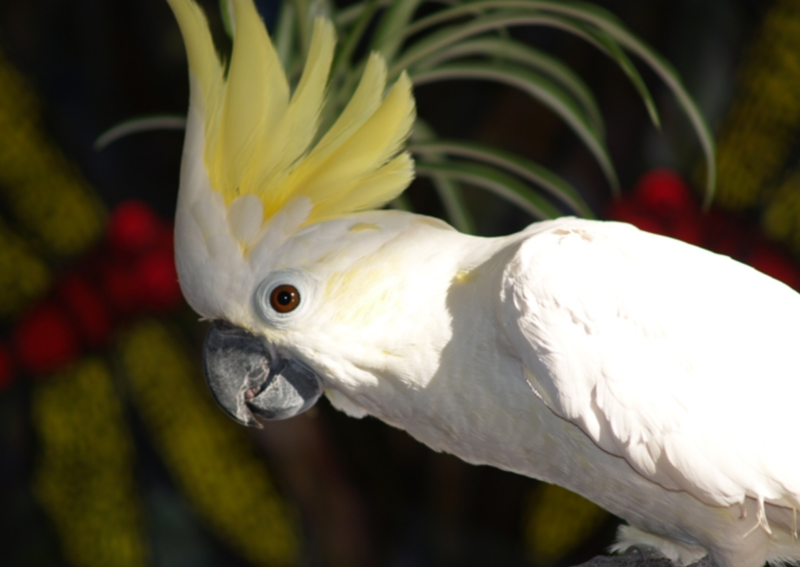 Not commonly bred in captivity, these extremely intelligent birds are inquisitive about everything. Many people are fooled by the majestic appearance and fail to appreciate the extremely intelligent nature of these beautiful macaws. 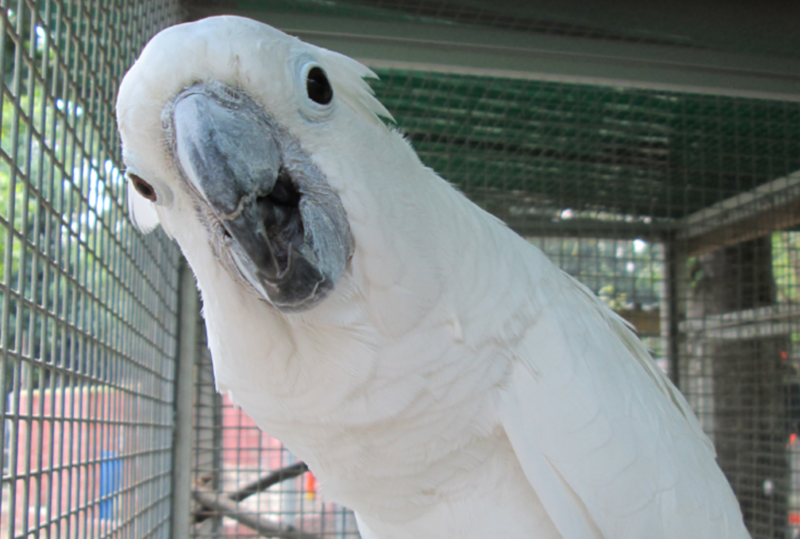 With their large size and accompanying beak, they are prone to dominating any situation. Therefore, it is important for Greenwing owners to set the proper limits and boundaries as early as possible. They are exceptionally interactive with people. The Greenwing has only recently become readily available as pets. Wild caught birds were difficult to breed and availability of domestic bred babies has lagged behind the demand. 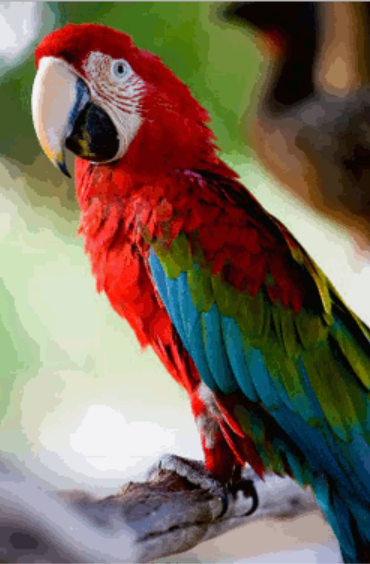 They are the smartest of the large macaws and extremely intelligent birds, with an ability to learn quickly. 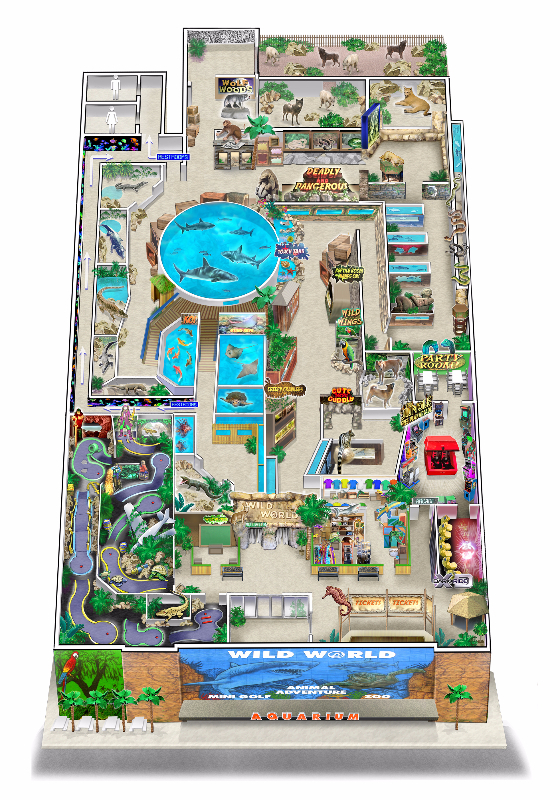 They are extremely socially interactive in a variety of settings. Much larger than either a Blue and Gold or a Scarlet Macaw. 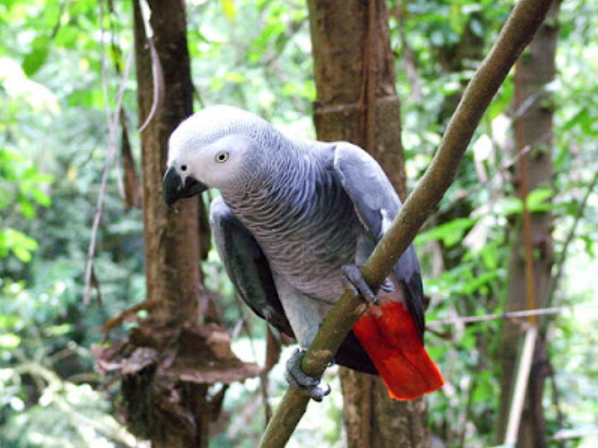 Along with the Buffon’s and Hyacinths they are the largest of the parrot family. 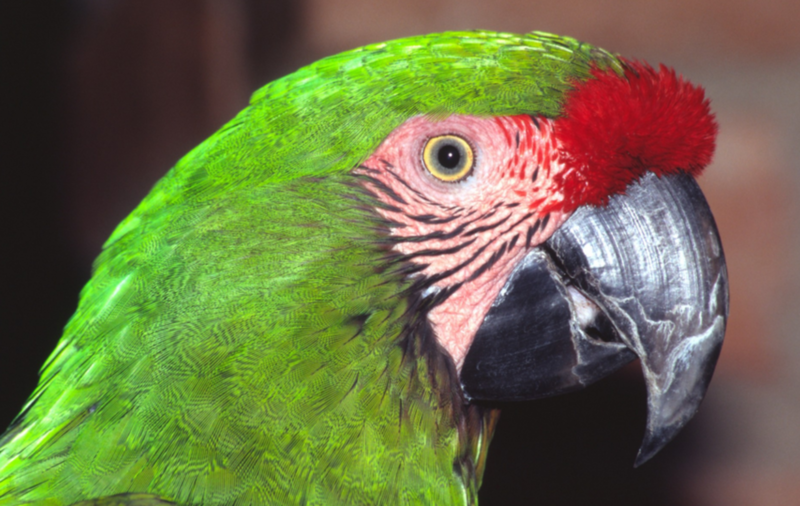 Although they don’t speak a great deal, Greenwing macaws have a mischievous nature which frequently leads them into trouble. It is always good to have large, tough toys such as the All Macaws “Macaw Tough” toy line, which can satisfy the Greenwings need to chew and destroy, these toys can save many a door frame. In addition you will need a large cage such as the Kings #506 cage we offer in both powder coated finish or stainless steel (the optimal choice as there are no guarantees that your powder coating finish will last under the pressures of the large Greenwing beak). 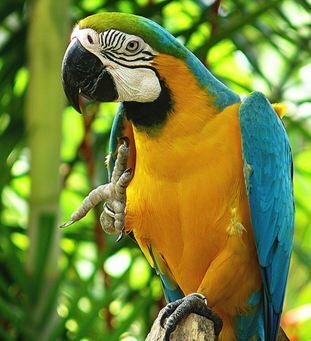 Socially interactive, both with people and other parrots, the Greenwing macaw often possesses the sweetest of natures and will make an excellent life-long companion.